Ah! has a special bee-inspired art exhibit created by Fred Gottschalk, who has made maple syrup himself in the past, along with raising honey bees. Now, in the art installation Deconstructed Beehives, he looks at another aspect of nature. 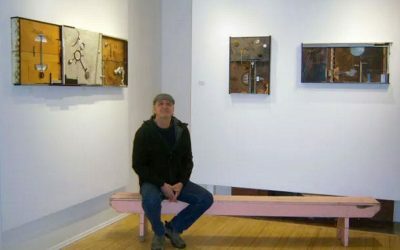 Bee-Cause and Effect is an “exciting exhibition” of deconstructed beehives by artist Fred Gottschalk. 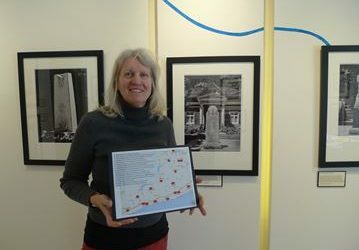 “The Cenotaph Project” features photographs of Northumberland Cenotaphs and stories mapped out in the County. 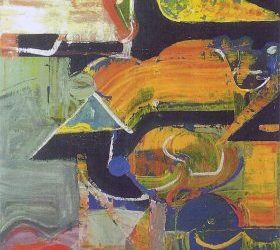 Burning Bright is the title of Dault’s current exhibition, baring his soul through paint and text at the Arts and Heritage Centre in a quaint rural town called Warkworth. 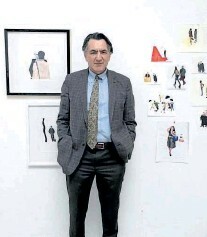 This show is a glimpse into the studio of Clive Russell, a place where he drafted, drew, painted, modelled, wrote, collaged, invented, dreamed and sought after ways to express and understand the deep connections and meanings within the everyday world that we inhabit. In the first presentation of the Ah! Poetry Series, local teacher, artist, and writer Gary Walters poetically expresses the tragic experience living with a partner with dementia, memories of world travels, and the strength of love. 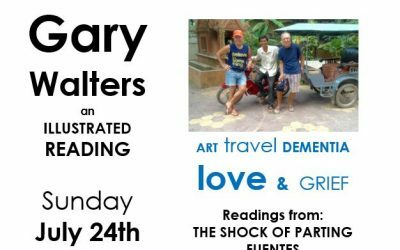 Gary Walters will read excerpts from his books “Fuentes”, and the “Shock of Parting”. 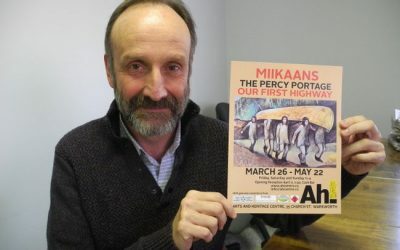 The story of one of the area’s first highways, the Percy Portage, will be told in two- and three-dimensional form in a Warkworth exhibition whose opening reception is Saturday night. 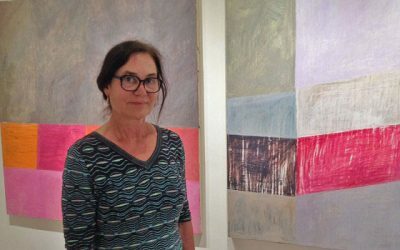 Lenni Workman’s organic farm is where she grows fresh produce, fruits, greenhouse plants & where ideas for her works of art sprout from as well. 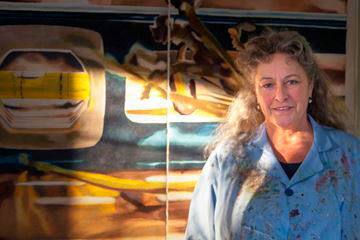 There is a substantial exhibit of the paintings of Martha Eleen at the Ah! 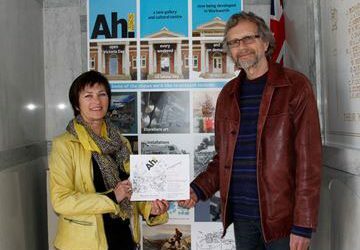 Arts & Heritage Centre in Warkworth. A retrospective. It is there until July 3. 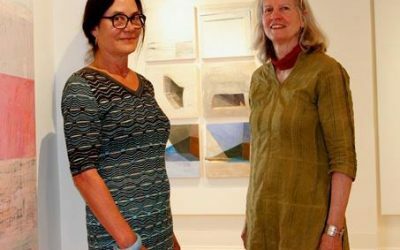 History of the Future, featuring the art of Martha Eleen of Toronto/Port Hope is the title of her exhibition currently at Ah! The Arts and Heritage Centre.